Home / Amazing / Nature / Video / Two Men skiing at night wearing LED Suits will absolutely blow your mind! 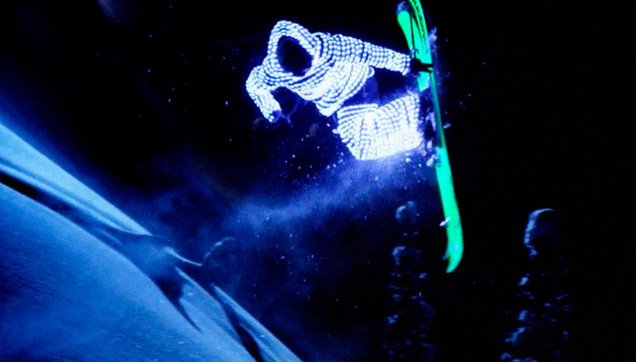 Two Men skiing at night wearing LED Suits will absolutely blow your mind! What do you get when you put on led suits and then ski in the dark? The video below, titled Afterglow, is said to be "hailed as one of the most cinematically profound ski movies ever made." Shot in the deep snow of Alaskan spines at night, it featured Pep Fujas, Eric Hjorleifson, Daron Rahlves, and Chris Benchetler as they ski down wearing custom-made LED suits. The result was absolutely mesmerizing because they seemed to be on fire, like fireflies that gracefully fly in the dark. Their surroundings were incredible and serene, matched by the background music. The cinematography was astounding too, with aerial shots and slow motion editing that really captured the moves. Not to mention the fact that they were great skiers too!